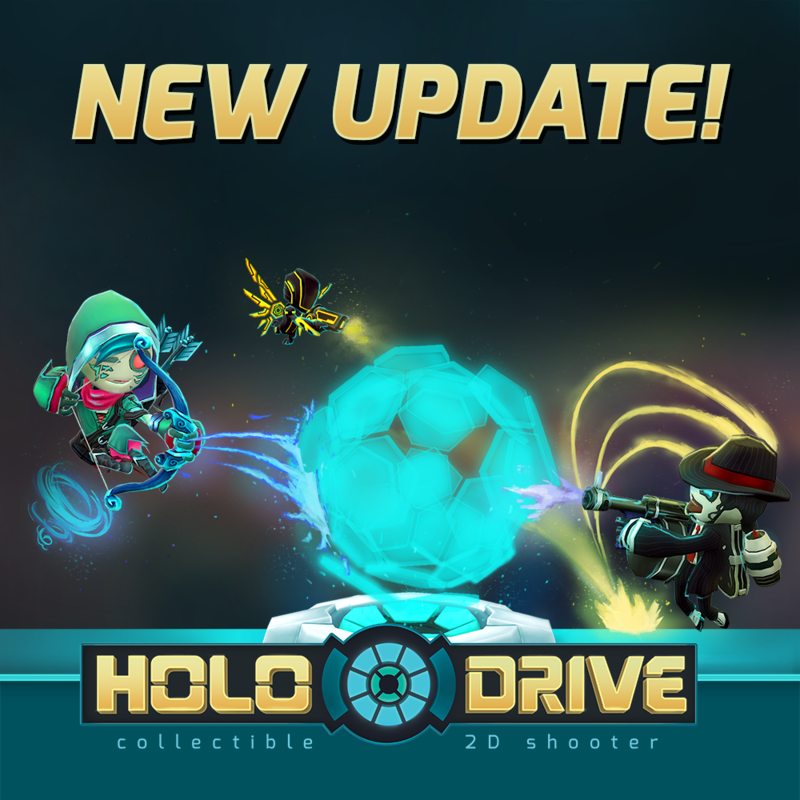 [English] We just updated the game with some minor but cool stuff! - Now you can see and join your STEAM FRIENDS games directly from the main menu! - Made huge improvements on lag! - Fixed the 100% Loading Screen bug! - Fixed a bunch of bugs! [Português] Acabamos de atualizar o jogo com alguns updates bem legais! - Melhorias enormes de lag! - Agora você pode ver e entrar no jogo dos seus AMIGOS DE STEAM diretamente do menu principal! - Consertado o bug da tela de loading em 100%! - Consertamos vários outros bugs! 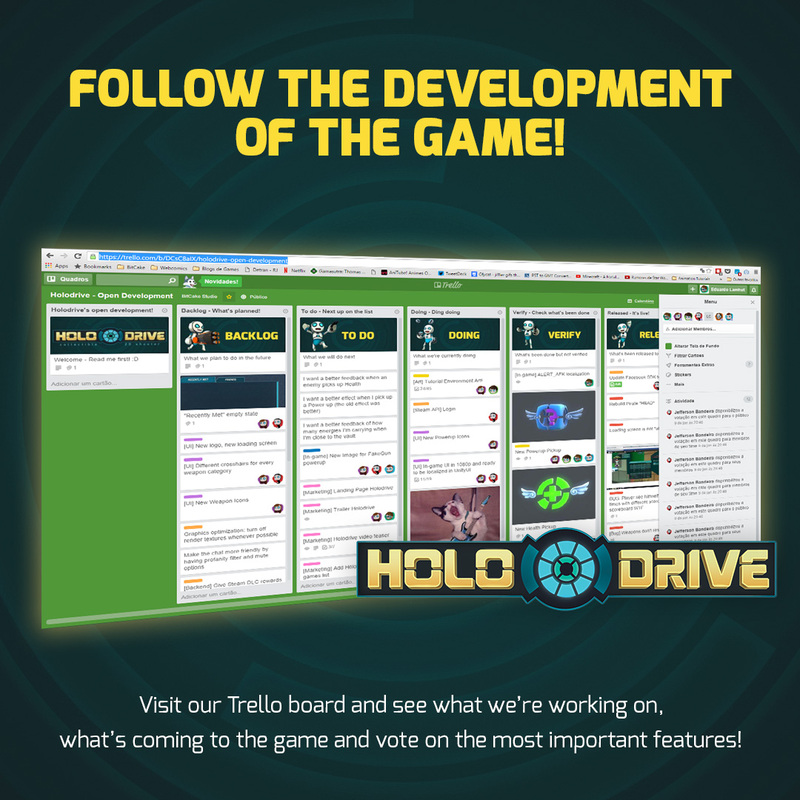 This is our public Trello where you can check what we're working on right now and what we'll be working on next, find all the bugs that we've discovered and vote on the features you think are the most relevant! Don't forget to Sign Up for our Steam Beta as well! Mario Kart + Quake in 2d! WHAT? Project Tilt is a 2D Real-Time Multiplayer Shooter! It's a project born out of our passion for a genre that hasn't seen much love for some time. We've been building it for quite a while and its Pre-Alpha is already available for anyone to play, for free! Hand Crafted Gameplay - We've spent months getting the controls right so everything would feel very fluid and intuitive. It feels good just moving through the environment. Non-Stop Combat! - Fast, furious and crazy may be the best words to describe the combat in Project Tilt! We've got boosting power ups, over-the-top weapons and ludicrous modifiers. That guarantees that you ALWAYS have a chance of killing that stupid, overpowered developer! Unique Weapons! - Did we mention crazy weapons? Well, we'll be adding more, but we've got shotguns with bullets that bounce off walls, hypercharging sniper rifles, reflecting ray guns and a plasma gun that gets stronger the longer you hold the trigger! Mario Kart-like Power Ups! - Pick up those boxes you see on the ground and Press F for AWESOME! Power Ups, that can help you turn an impossible combat around. Or just use them to screw up other players! Your input! - We take player input EXTREMELY serious! Our Feedback e-mail is rigged so that THE ENTIRE TEAM receives a copy of your letter, so don't worry: we read every post, comment or e-mail you send us! Oh, and you can reach us on our Facebook Group[www.bitcakestudio.com] and now on Steam! A REAL name for our game! "Gibe us moar free stuff tilt lol"
Never Mind when i follow the Arrows it leads me to the Other teams spawn and i attack that ball thing but nothing happens can you Post a Vid for New players who got accepted intoo the beta so they know how to get out of it? Project Tilt (Holodrive) has been Greenlit and is now listed in the Steam store. For the latest information, purchase options, and discussions for Project Tilt (Holodrive), please see it on the Steam Store or in the Steam Community.